SWEDA based in West Bromwich and Access to Business based in Wolverhampton are looking to appoint Sessional Business Trainers for their partnership project. We are looking for trainers who can deliver various Business / Social Enterprise related topics these may including standard workshops on Business Planning, Marketing, Web design, Social Media, Business Finance, Book Keeping & Accounts but we also want you to tell us the topics you would be competent and comfortable to deliver. You will need to demonstrate professional competency within the subject area. A recognised teaching/training qualification would be advantage but is not essential, your subject area expertise is of primary importance, you should however have a good teaching style. Advice and Guidance / mentoring qualifications would be beneficial. We have regular as well as sessional roles to provide ad-hoc and holiday cover. The role may require some travel to training sites throughout the Black Country primarily Dudley, West Bromwich, Walsall and Wolverhampton. Workshops are delivered throughout the year – opportunities could be available at any time. If you have the skills and experience we require please email your CV and a covering letter today to davinder@sweda.org.uk. Please state what subject(s) you can deliver and your expected daily/hourly rate of pay (NB we will not be covering travel separately – therefore account for this within your pricing). If you have any queries please email us or contact Davinder Kaur 0121 525 2558. Skills Work and Enterprise Development Agency Ltd (SWEDA – www.sweda.org.uk), we are a charity established in 1989 our mission statement states ‘“SWEDA is a unique agency which exists to encourage, inspire and promote the personal & professional development of its clients to achieve their goals regardless of age, intellect, talent or heritage. 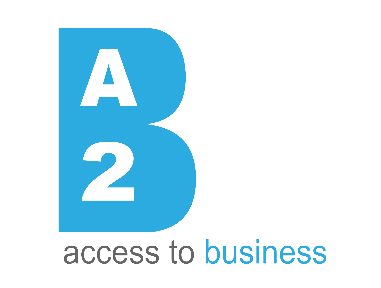 Access to Business (www.access2business.co.uk), established in 2004 provides services supporting local people into employment, self-employment and social enterprise development and also recruitment services, office services and training courses for local businesses.